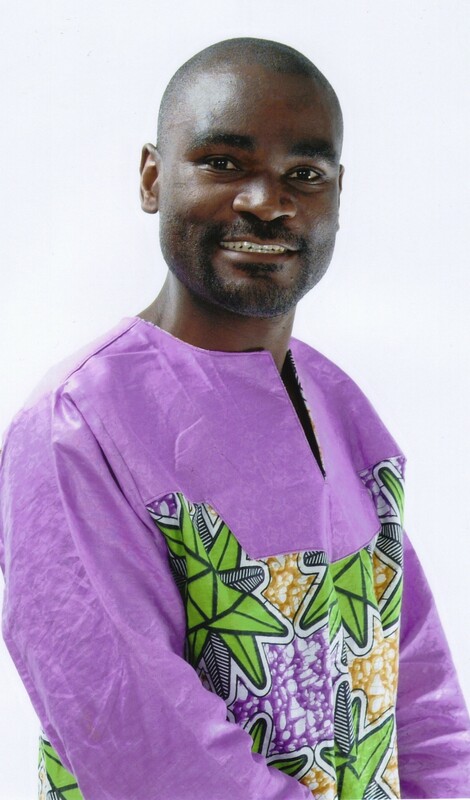 When a smuggler acts as President: Wynter Kabimba and his men from Kenya | Elias Munshya, LL.M, MBA, M.DIV. Personal sabotage should know its constraints. But just when you think that stuff cannot get any worse, that is when it usually does. It is one thing to make a small mistake, or perhaps, to misspeak once in a while. We are all human after all. But when you are part of a cabinet handling 13 million Zambians, you must be more careful and more measured, with the class of words you spit out of your mouth. It is no secret that the Patriotic Front (PF) government lacks basic diplomatic skill. Never in the history of our republic have we had such horrendous leaders in charge of our foreign diplomacy and national security. A foreign policy disaster is just being averted by some good leadership skills exhibited by the new minister of foreign affairs. He is trying his best. Harry Kalaba seems to have brought a little bit more stability and better class to the Ministry of Foreign Affairs. However, just when you think we are now having a good handle of foreign policy, someone just manages to sabotage the little effort being done. The story of Kabimba smuggling into Zambia, “Kenyans through Nakonde border” is so diplomatically obtuse that no one in their right mind could ever make such a reckless assertion implicating a foreign country in matters so sensitive. It could not have come at a more difficult time for Kenya and her people. Kenya is facing multiple problems at the moment. Al-Shabaab is threatening to kill them. In Mpeketoni armed men stormed peaceful football fans and killed several. In the intelligence briefs that Sata should be receiving, he has probably been informed of the Kenyan situation. Kabimba should also be intelligent enough to know that Kenya currently is battling a barrage of both local and cross-border terrorism. We should all sympathise with the good people of Kenya during this difficult time. From such a background, it is strange, that Wynter Kabimba would growl about how he smuggled Kenyans into Zambia to do Parallel Voter Tabulation (PVT). No mention of another country by a senior cabinet member ever goes without diplomatic consequences. Kabimba’s statement is wrong, confusing and surprising to say the least. I have already explained that this testimony is diplomatically imprudent. How can our Minister of Justice implicate citizens of a sister nation, that he had smuggled them into Zambia to illegally participate in Zambian elections? Who says that? Who in their right mind would even string a sentence together that contains such diseased implications? To make matters worse, Kabimba even mentions that had Rupiah Banda won those elections, he would have sent him to jail as a result of this illegal activity. Several politicians have jumped on this and are now claiming that Wynter probably did in fact use the Kenyans to manipulate elections to favour the Patriotic Front. For this, the opposition wants Wynter jailed. Opposition parties have a reason to read what they want from Wynter’s statement. But I doubt the veracity of Wynter’s statement. 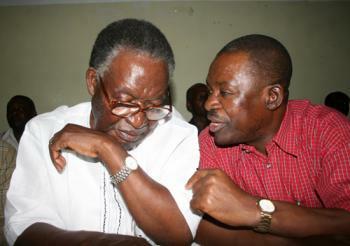 Kabimba seems to be a deeply troubled man coveting absolute power at all costs. Jail should be spared for people more talented than this. It is a notorious fact that Wynter is fighting bruising succession battles within his party. He is trying to threaten those who do not want him at the helm of PF. In fact, some PF members are anti-Kabimba because they know him to be unpatriotic and wearisome. In the Eastern Province, a camp identified with Lameck Mangani, seems to have had little regard for Kabimba. For his part, Kabimba, made no qualms about what he really did feel about Mangani. Shortly after 2011 elections, Kabimba claimed quite audaciously that Mangani was not a member of the PF, but was just an impostor. Strangely enough, he went to anoint this impostor as parliamentary candidate, not once, but twice. After the fights, Mangani has now been fired. It is during these succession wars and meetings in Chipata that Kabimba pulled a stunt only appropriate for primary school. He knows he lacks legitimacy in the eyes of many PF members. For some reason, he is not just registering as a good guy to replace Sata, either before or after 2016. There is just something that is putting Zambians off about Kabimba. It is to convince one of these doubting groups that Kabimba announced this infamous Kenyan connection. It appears like Kabimba will do anything to try and buy his own legitimacy. He will say anything. He will claim anything. He is willing to do anything. He does not seem to care about the implications of what he is saying, as long as it raises his own bruised profile within the PF. Anyone would know that Kabimba cannot and did not rig the 2011 elections. Certainly, no Kenyan ever rigged the 2011 elections on behalf of Kabimba. Neither Kabimba nor his Kenyan fictitious people have the capability to do so. In case, Kabimba has forgotten. We need to remind him. The people of Zambia voted for one Michael Sata. 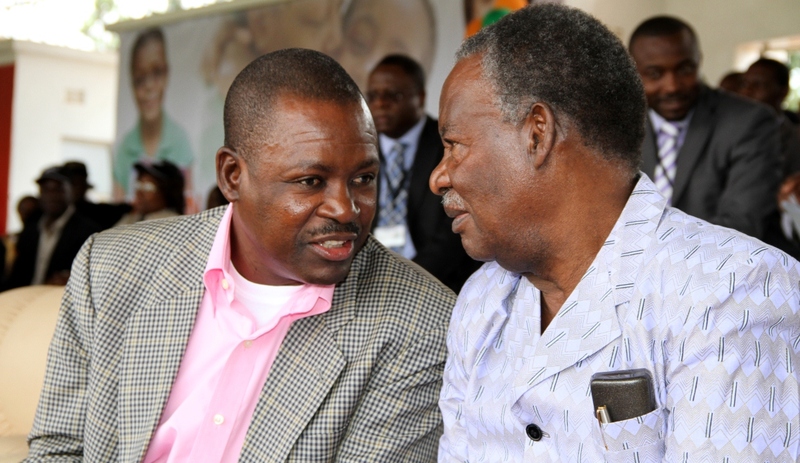 Zambians from Limulunga to Milenge chose and gave Sata a strong mandate. Zambians thought that Sata would do them good. He would give them a constitution. They thought he would chase the Chinese invaders. They thought he would make the Kwacha stronger. They thought he would truly be in charge. To their surprise, they are having what in business we call “buyer’s remorse”. You buy something you wanted so badly, and then after you take it home, it disappoints. You then look back and think, “I should not have bought it in the first place”. This is where we are as a country with regard to Bo Chilufya Katongo. In this buyer’s remorse, Kabimba should not mock Zambians by claiming that it is his Kenyans that brought us Michael Sata. We brought Sata on our own. And we do have a way to get rid of him in the 2016 election. In so doing, we do not need Kabimba’s fabrication. The only Kenyans I have seen, with some real capability over some Zambian men, wear traditional Maasai gear and stand on corners of Lusaka hawking stuff they promise will help, not with elections, but erections. Come 2016, they will be there to sell even more stuff to Zambian men and perhaps women. However, what they will not do is to rig any elections.